Bananas are extremely healthy. It is one of the most common fruits in India which almost everyone likes to eat. Banana is known for its health benefits, good taste and it is easily available. But you might not know that banana peel is equally healthy. It offers various health benefits too. You always throw away the banana peel without availing all the benefits it offers. The flesh of banana is rich in many nutrients and as well as carbohydrates. It also has high contents of vitamin B6, B12, magnesium and potassium. It is soft and thick. Banana peels are full of anti-fungal compounds, antibiotics, fibre and other health-enhancing properties. Next time do not throw the peel into the trash and make optimum use of it. 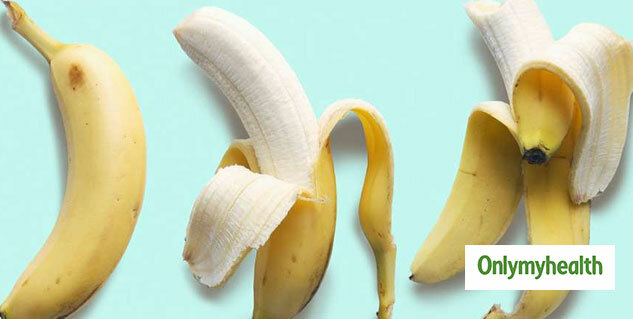 Here are some health benefits of banana peel that you must know. Also, know how to use them and make it a good contributor to your health. Banana peels are rich in serotonin, which is a chemical that helps in boosting mood. This chemical makes you feel good as well as active. Lack of serotonin can lead to seasonal depression. To avoid depression and to treat depression banana peels are a great natural remedy. You can consume two banana peels in a week to increase the level of serotonin. You can chop it and add to various recipes or you can add it to shakes and smoothies. 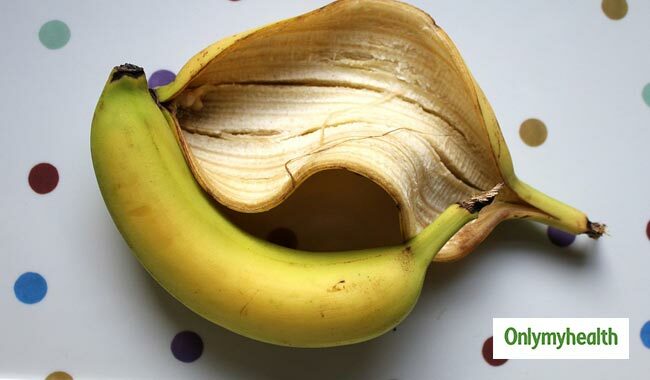 Banana peels have more fibre than the banana itself. They are packed with both soluble and insoluble fibre. Fibre helps in keeping cholesterol under control. It not only controls the growth of bad cholesterol in the body but also lowers the levels of bad cholesterol present in the body. The absence of bad cholesterol also reduces the risk of developing cardiovascular diseases and strokes. You can eat raw banana peel to get enough fibre to control cholesterol levels in your body. Foods rich in fibre helps in losing weight as fibre can be digested easily and it does not contribute to fat deposition in the body. As banana peel is rich in fibre it promotes weight loss. Banana peels are very effective in treating pimple and wrinkles. To treat acne all you need is a banana peel. Simply massage banana peel on your face for 5 minutes for one week. You will see noticeable results within a year. Banana peel also helps in keeping the skin hydrated. Mash a banana peel and apply it on your face. Leave it for 5 minutes and later wash off. You can also add an egg yolk to mashed banana peel for better results. Everyone loves pearly whites. White teeth make a good impression. They are easily noticeable. You might be trying different ways and kinds of toothpaste to get white teeth. Banana peel is the best natural remedy for teeth whitening. Take a fresh banana peel and rub it on your teeth daily for a week. Rub the peel continuously for at least one minute. You will get the desired results in just one week. Read more articles on Healthy Living. Trying to gain weight? This healthy banana bread recipe might help!